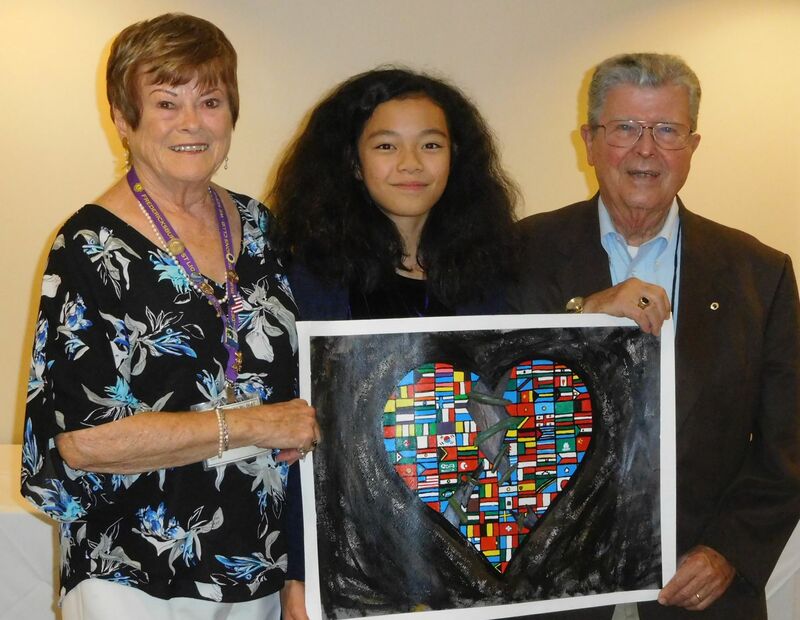 November 2018 -- Emily Mon, who attends Walker Grant Middle School, wins First Place in the annual Peace Poster Contest. May 2018 -- Club members join AARP Chapter members in volunteering at the Fredericksburg Regional Food Bank. February 2018 -- The Bland Music Scholarship Competition was held on February 24, 2018. This year's winners: First Place - Evan Min-Suk Oh (right), Second Place - Kenneth Duong (center), Third Place - Landin Thorsted (left). 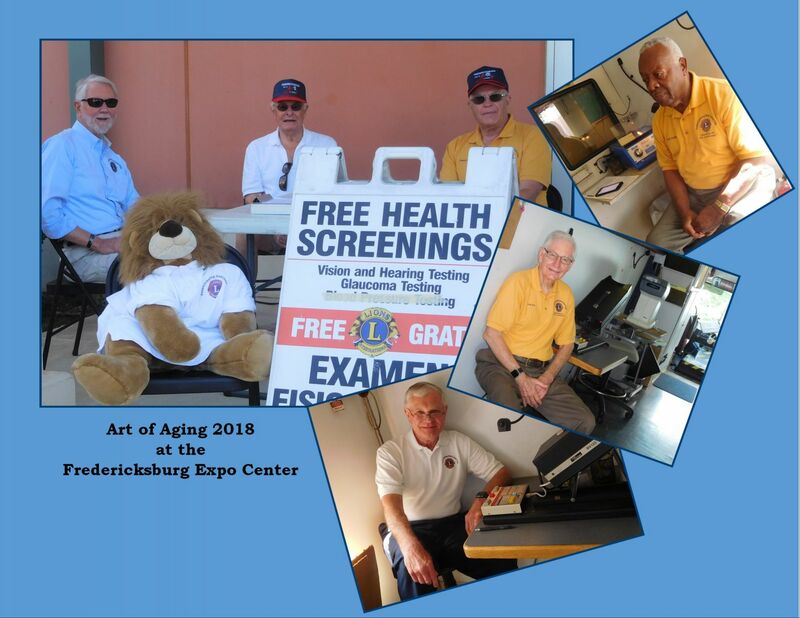 Pictured with (back row): Sam Hess - Aquia Harbour Host Lions Club, Dawn Teague - Aquia Evening Lions Club, Aaron Hackett - Fredericksburg Host Lions Club, and Reinhard Ortman - Greater Falls Run Lions Club. The 2019 competition will be held on February 3. We mourn the loss of Lion Bob Sexton.